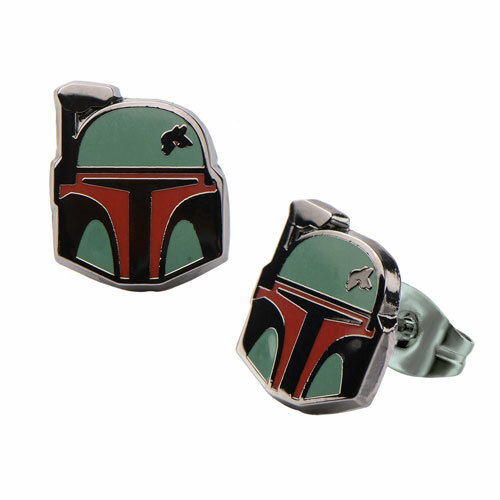 View cart “Star Wars Boba Fett Stud Earrings” has been added to your cart. A long time ago in a galaxy far, far away… there was perfect earrings for the Star Wars fan! The Star Wars Boba Fett Stud Earrings are the perfect earrings for any Star Wars fan! The Star Wars Boba Fett Stud Earrings features Baba Fett’s iconic helmet from Star Wars. These amazing earrings will look great with any ensemble, and will make you the envy among your fellow Star Wars fans. Ages 13 and up.